Deepcool famous coolernya products either liquid CPU cooler, CPU water cooler, Laptop Cooler, case, and power supply fan. For liquid CPU cooler there will be two series of Captain and Maelstrom. 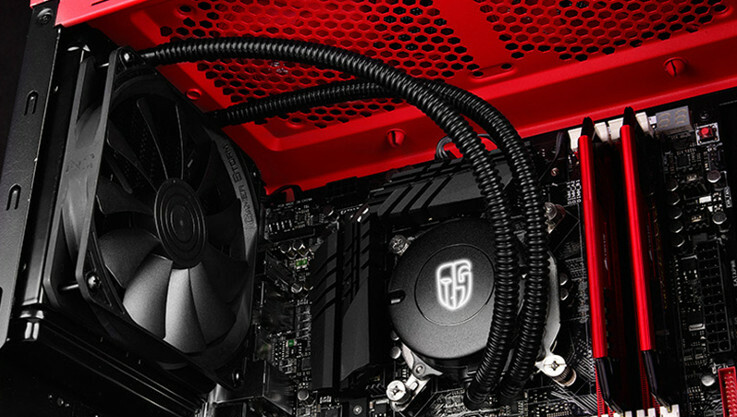 Both fall straight into the ranks of premium cooler which called Deepcool Gamer Storm. Deepcool Gamer Storm Maelstrom 120k using 120mm fan and radiator size and supports all socket CPU and really ideal for mini-PC or HTPC. Cooler is perfect for people who crave a PC system with Liquid cooler with a fairly good performance at a really cheap price.